← Mix 107.3 Mystic Mix & Mingle Special Offer! Mix 107.3 Radio Station presents Mystic Mix & Mingle Psychic Fair and Happy Hour! Featuring the DMV’s best psychics, mediums, and more all gathered to provide readings for YOU! Grab your friends and come see what 2018 has in store for you. 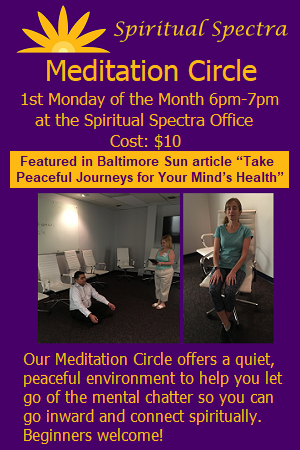 Be sure to stop by the Spiritual Spectra booth for a FREE mini Psychic or Medium Reading! Tickets are only $10, on sale at https://concerts1.livenation.com/event/1500545C09CA6C6F. This entry was posted in Attend Our Events, Medium Reading, Spiritual Consultation. Bookmark the permalink.